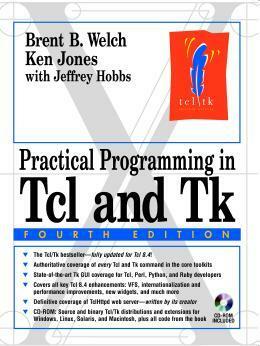 Practical Programming in Tcl and Tk is meant as a practical guide to help the readers get the most out of Tcl and Tk and avoid some of the frustrations. This book is meant to be useful to the beginner in Tcl as well as the expert. You are assumed to have some programming experience, although you should be able to get by even if you are a complete novice. Tcl is a dynamic programming/scripting language based on concepts of Lisp, C, and Unix shells. It can be used interactively, or by running scripts which can use a package system for structuring. This book also discusses the GUI toolkit Tk.